Shane Shirley : Want a Sleigh Full of Savings? Here are 10 Dazzling Green Deals for Everyone On Your List...or Yourself! Want a Sleigh Full of Savings? Here are 10 Dazzling Green Deals for Everyone On Your List...or Yourself! Looking for Green Living Deals for The Holidays? 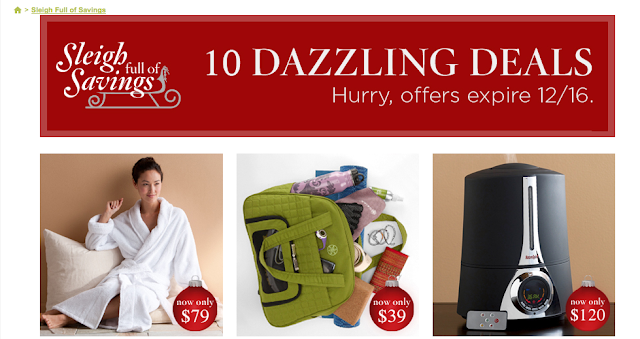 EB Partner, Gaiam, Has a Sleigh Full of Dazzling Deals For Everyone On Your List! If you are still trying to finish up your holiday shopping list, you will be glad to know our EB partner Gaiam is offering some stellar deals on 10 really luxe, green gifts. The fun part is that Gaiam is revealing a green deal a day for 10 days! They gave me a sneak peek at all the green deals and I am loving day #4, #7 and #10. Prices start at $18 for a comfy cork bath mat (day #8) and top off at $120. One of my favorite finds is on day #10 and I am giving you a chance to pick it up with me right now! If you jut can't wait for the rest of the savings, go now and check out the Gaiam Gift Guide full of green living gifts for even the most discriminating person on your list, all at a price that will help keep you in your budget.